Support local sail training and sail training events. Promote sail training for young people of all abilities and experience levels. TANZ was founded in 1996. It represents the interests of 16 sail training organisations and Tall Ship operators in Australia and New Zealand. Its purpose is to promote the development of sail training, with an emphasis on adventure training for young people at sea under sail in Australia, New Zealand and elsewhere. TANZ also plays a key role in the development (for sail training vessel operators) of safety-related codes of conduct and on-board management systems, trainee and professional crew training programmes, and other related programmes. STA Belgium was founded in 1994. It’s a registered charity with national membership. It restored, owns and operates the T/S Williwaw, and it promotes sail training for young people on many other Belgian vessels. STA Bermuda works to provide opportunities for young people from Bermuda to become trainees on sail training vessels participating in races and festivals in Europe and North America. We believe that sail training is beneficial for the well-rounded development of the youth of Bermuda. STA Bermuda also helps adults take advantage of the same opportunities. Our motto is: Changing Lives Through Ocean Adventure. DSTA was founded in 1996. It represents the interests of 30 members in Denmark, the Faroe Islands and Greenland. It also represents 10 sail training vessels (ranging in size from an 18-metre ketch to three Class A full-rigged ships) and five ports. The organisation operates a grant scheme to assist trainees taking part in the Tall Ships Races. STA Estonia was founded as a non-profit organisation by six sail training enthusiasts in 2011. It has grown every year since. Since then, it’s taken more than 350 trainees to sea and has regularly participated in the Tall Ships Races and other sail training events. The organisation’s aim is to promote and provide sail training for young people in Estonia, cooperate with sail training vessels, and organise maritime events. STA Finland was founded in 1973. Since then, its sail training vessels have taken more than 16,800 young people to sea. These young trainees have also formed their own organisation (The Sail Trainees of Finland Association), which provides opportunities for continuing contact between the trainees, and also helps to promote sail training in Finland. STA France was founded in 1990. 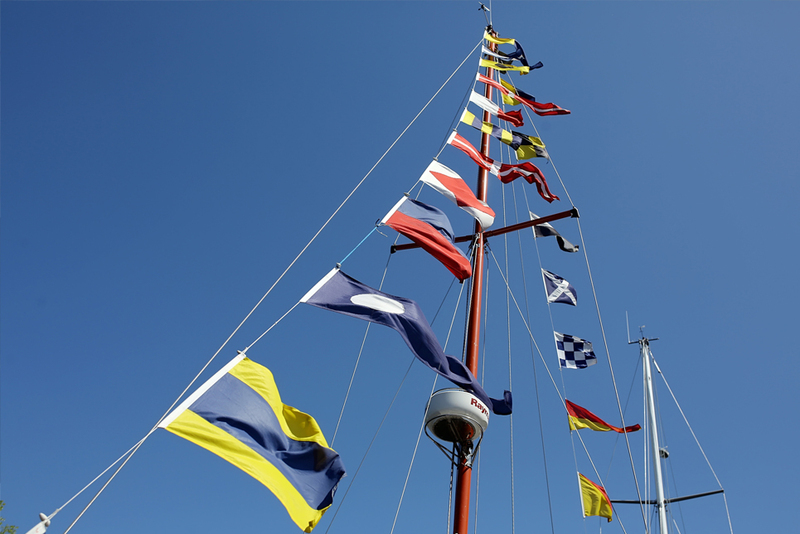 It represents the interests of around 40 vessels and approximately 400 members (individuals, associations, charities, and vessel operators) in promoting sail training for young people through exhibitions at various maritime festivals and other events. It publishes a quarterly magazine called “Grands Voiliers Infos,” along with a monthly magazine, which help potential young trainees find opportunities to embark on sail training vessels around the world. STAG was founded in 1984 as a not-for-profit organisation. Its main purpose is the education, development and support of young people of all nationalities through sail training. Its members include 50 sail training vessels and more than 5,000 individual members. The organisation operates a bursary programme for sail training vessels and individual trainees. STA Hellas was founded in 2008 and became the 25th National Member of Sail Training International. It’s a non-profit organisation that aims to develop, support and promote sail training for young people in Greece. S.A.L.T. was founded in 2011 as a not-for-profit organisation to promote sail training in Hungary. Although the country is land-locked, S.A.L.T.’s goals are to promote the development of sail training for young people in the Adriatic and Mediterranean Seas. It encourages and supports Hungarian young people to participate in educational sail training programmes and to take part in the annual Tall Ships Races and Regattas, through national and international bursaries and trainee exchange programmes. It focuses on helping and supporting young people who are recovering from serious illnesses, such as cancer. Although S.A.L.T. doesn’t have its own sail training ship, it encourages small ship owners and operators to participate in sail training activities and events. STIYD is the recognised Sail Training International representative body in Ireland. Its vision is to provide Tall Ships sail training to the people of Ireland, and its aims include promoting and supporting the development of young people through the sail training experience. STA Italy was founded in 1996 by a partnership between the Italian Navy and the Yacht Club Italiano. Its charter is to develop and promote sea training for young people, as a means to further their personal development and education. Through the cooperation of the Navy and many owner/operators of other vessels, STA Italy offers a variety of sail training opportunities to young people, including berths at no charge or ones that are highly subsidised. The organisation also operates an international trainee exchange programme, which is currently expanding. STA Latvia was founded in 2002 by 23 sail training enthusiasts in the country. The organisation also has three members who own/operate vessels, two yacht clubs, and three maritime companies. STA Latvia’s principal goals are to develop sail training for young people in Latvia by encouraging other vessel owners to participate in sail training activities and events, and through an international trainee exchange programme. STAN was founded in 1985. Its goals are to encourage and develop sail training for young people in the Netherlands. To achieve this, STAN organises maritime events and races for sail training Tall Ships in the Netherlands. NSTA was founded in 1999. It has four membership categories: sail training vessels, past and prospective host ports for the Tall Ships Races, individuals and organisations supporting NSTA ideals, and corporate entities. The organisation promotes sail training for young people and international friendship through sail training. STA Poland was established in 1993. It has more than 100 individual (voting) members and is co-owner and sole operator of the Class A sail training Tall Ship Pogoria. Supporting (non-voting) members include the Maritime Academy of Gdynia (Dar Mlodziezy), the Polish Navy (ORP Iskra) the Polish Scouts Union Sea Training Centre (Zawisza Czarny) and the Polish Yachting Association (Kapitan Glowacki). Portugal’s STA, Aporvela, was founded in 1980 as a registered charity. It has three categories of membership and owns three sail training vessels, including the Caravel Vera Cruz. The organisation’s main objectives are to promote off-shore sail training, mainly for young people. This institution represents the interests of sail training in Russia and it operates the 100-metre sail training ship Mir. The Academy provides the communications link for all sail training activities in Russia with Sail Training International, pending the development of a national sail training organisation (as defined by Sail Training International). The SASLA was accepted as a full member of Sail Training International in 2008. It has 11 member organisations, with a focus on marine career development, promoting peace, environmental work, and youth development. SASLA is dedicated to providing regular sailing activities to young people, particularly those aged 11-17 years old. It also focuses on arranging international sail training opportunities for culturally diverse groups. STA España was established in 2002. Its members include all sail training vessels in Spain, the Spanish Navy, the Royal Sailing Federation of Spain, and a number of ports. It also has 100 individual members who support the organisation’s mission. The organisation promotes sail training for young people in Spain, and encourages international friendship through tall ships events and sail training. STA Sweden was initially founded in 1998 to support the Tall Ships Races. Today, its members include a number of Swedish ports, the Swedish Navy, and some 60 vessels engaged wholly or occasionally in sail training activities. ASTO was founded in 1972. It represents the interests of all major UK Sail Training organisations. It has 24 full members, nine associate members, and two honorary members, operating 56 sail training vessels ranging in size from a 10-metre sloop to a 65-metre barque. The organisation grants bursary funding towards the costs of more than 70,000 berth days for young people, including disabled trainees, each year. TSA was founded in 1973. It represents the interests in the US of 300 member sail training vessels from more than 20 countries. There are also 100 affiliate members, including museums, schools and universities, and close to 500 individual members who support the organisation’s mission. TSA raises funds and administers several scholarship programmes, as well as a professional development grant programme to support the continuing education of professional sail trainers and marine educators.